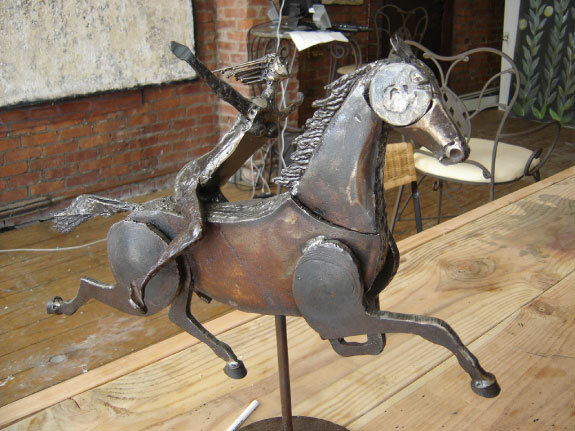 What is junk to some people is art to Thomas Michael Malloy. I am a welder by trade and believe, "People throw away too many things. 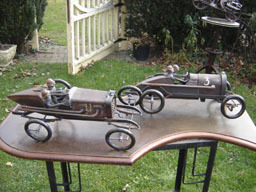 In my travels, I salvage old machine parts, broken-down appliances and scrap metal from junkyards to create my intricate, whimsical sculptures. 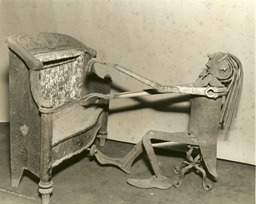 An old pair of pliers becomes a lobster's claw, a piece of exhaust pipe makes a horses head; a discarded hair dryer is resurrected as a Viking helmet. This website is for informational purposes, so you can view some of the most unique art pieces ever assembled. 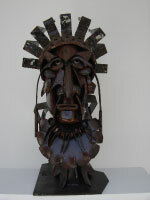 All my art work is only in ferrous metals - iron and steel - which lend themselves to gas or electric welding. 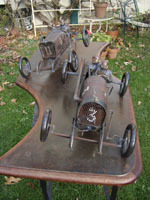 Finished sculptures are priced from $1,000 to $20,000, depending on the size and intricacy of detail.